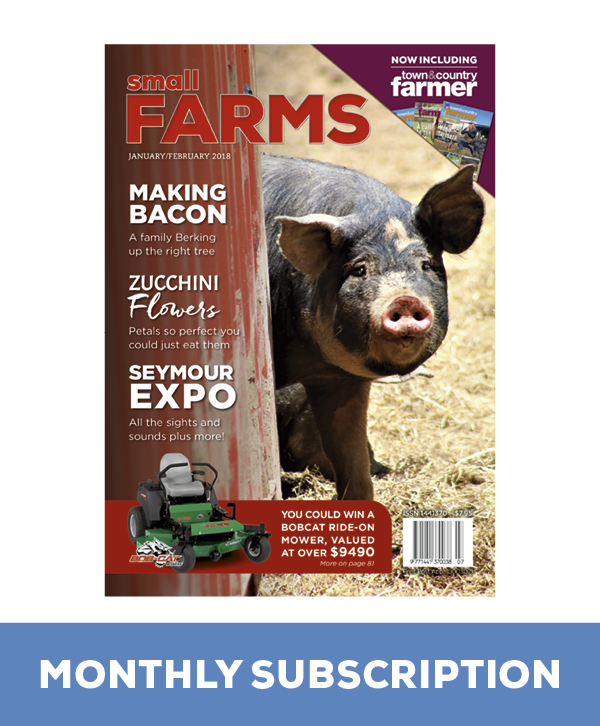 You will receive a copy of Small Farms, delivered to your door at the start of each month (excluding January). Cancel at any time during your trial, no questions asked. 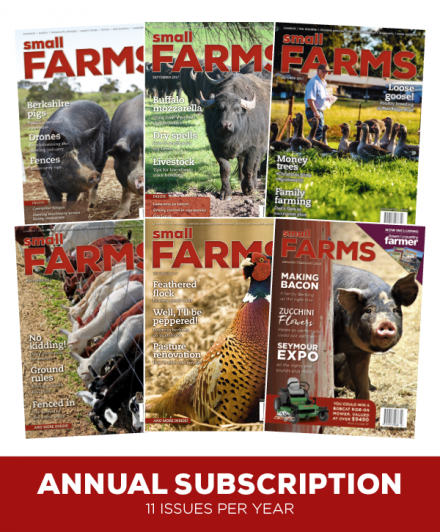 If you love Small Farms and want to continue your membership after your trial ends, we will automatically renew your subscription each month (you can cancel at any time). Delivered to your door 11 months of the year. Delivery is free within Australia. 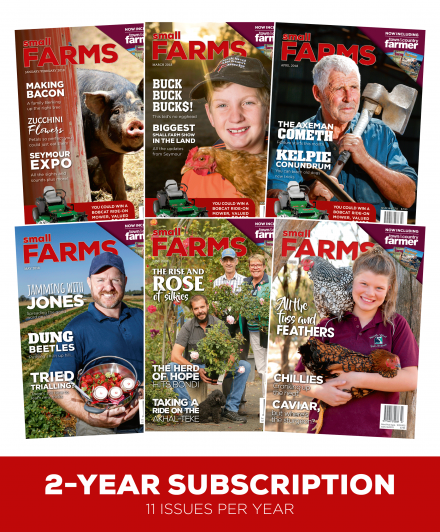 By signing up, you acknowledge that you have read and agree to the Small Farms subscription terms & conditions, and authorise us to charge your nominated credit card after your 2-month trial ends (2 months from the date you start your free trial). Your Small Farms membership continues until cancelled. If you don’t want to continue for $7.95/month, you may cancel anytime by going to “My Account” and cancelling your subscription.